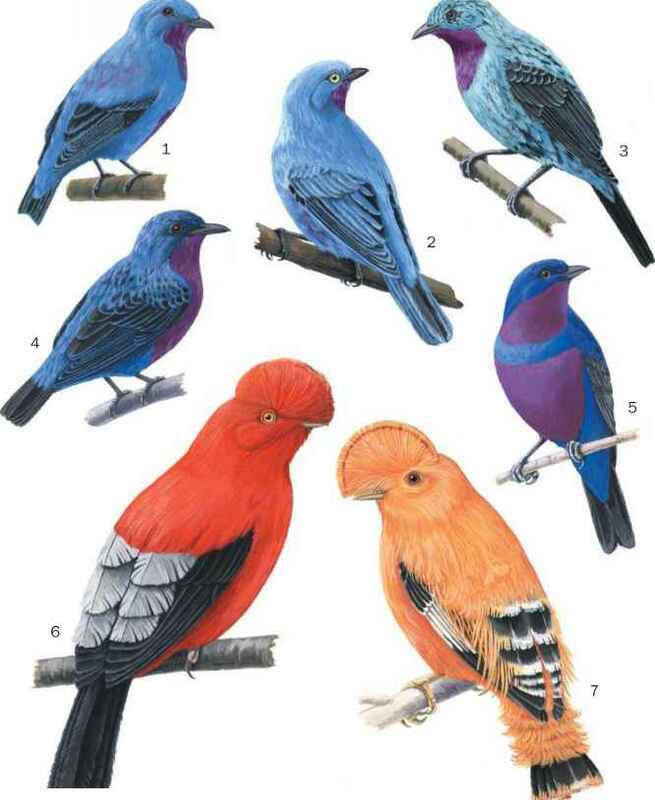 French: Cotinga de Daubenton; German: Purpurbrust Kotinga; Spanish: Continga de Pecho Morado. Average weight is 2.5 oz (70 g). Males are predominantly navy blue in color, with black wings and tail, and violet on the throat and breast. 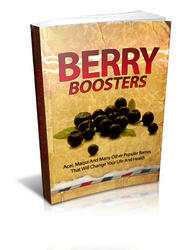 Their subcutaneous and perivisceral fat often takes on the blue color of the berries they prefer. 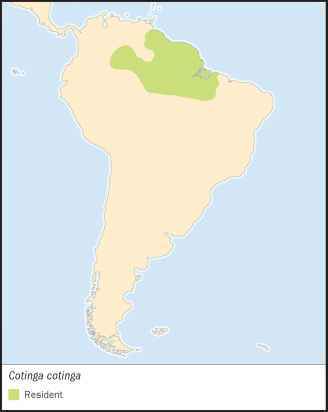 within the genus that overlaps its geographic distribution is the spangled cotinga (Cotinga cayana). The quiet behavior of the members of this genus is in contrast with their vivid colors. However, the male emits a sharp, loud "whirr" with his wings when in flight.